Yes, it can be really hard to do during winter, but this is a tried-and-tested way to get smooth hair. The cold indeed will make you want to shrink up, but it will do the same thing to your hair. Warm water makes the hair cuticle, or the outer layer of each hair, open, while cold water makes it close up. Rinsing with cold water helps your hair strands to stay flat. After you wash your hair, make it a habit to use your towel and blot away on top of your head. Don’t wrap your hair in a towel and give your head a good rub to remove excess water. Rubbing up your hair can cause breakage, and it also encourages frizz. Keeping your hair shiny, smooth and healthy requires regular visits to your trusted stylist. Even if you’re growing out your hair, get regular trims to maintain smooth strands. Even if your roots look amazing and polished, it will not look so amazing with damaged and split ends. 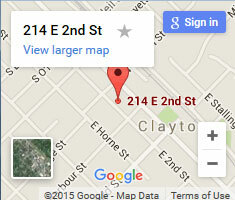 For the best Clayton hairstylist, contact us! Aloe vera contains enzymes that encourage healthy hair growth. It has a similar composition to keratin, allowing hair to easily penetrate hair. Create your own mask by diluting a small amount of aloe in a cup of warm water. Comb through hair, let it sit for 30 minutes, then rinse. To achieve the softness and shine you want fo your hair, you need to remove accumulated product built-up. And you can effectively do this using a common ingredient – apple cider vinegar rinse. It helps to restore your hair’s pH balance, get rid of gunk, and close up the cuticle. This clarifying rinse is so simple to do as well. Simply dilute a quarter-cup of cider vinegar in one cup of water. Work the solution through from roots to ends, then rinse out. Air drying is best for your hair. But if you really need to use a hair dryer, be sure you’re blowdrying the right way. Use a diffuser to avoid scorching your strands. Also, make sure to point the nozzle down to encourage the cuticle to stay smooth and flat. Finish by giving your head a once-over using the cool setting for a smoother hair. Want to avoid frizz and breakage, sleeping on satin pillowcases is recommended. The usual cotton won’t help keep your strands smooth due to friction. Want more hair care tips? Visit us in our Clayton Hair Salon today!